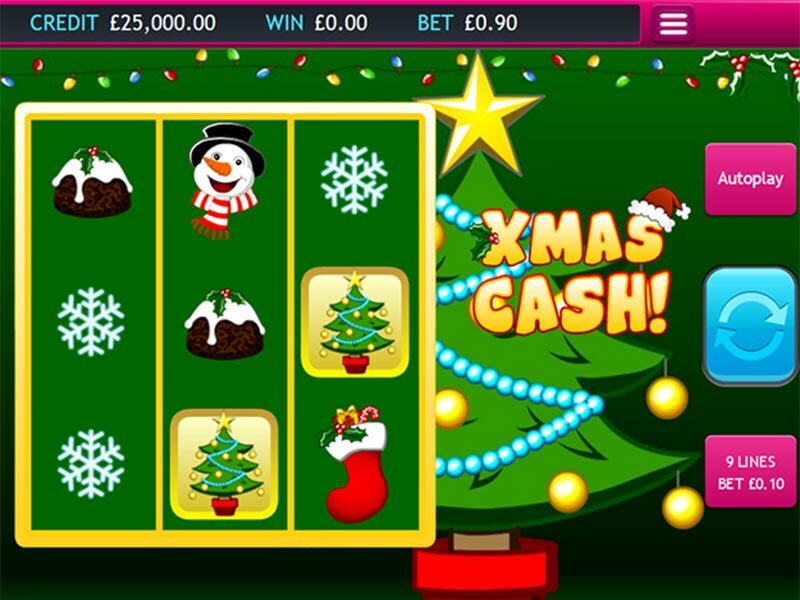 If you’re looking for a bit cash over the Christmas period then look no further than this online slots uk game. This festive themed 3 reel will have you jumping for joy as you spin your way through 9 paylines of golden baubles, snowmen, and Christmas trees. Eyecon have been around for 2 decades now, maintaining standards high when it comes to the online casino industry. Their innovative and ingenious developers leave players impressed and asking for more whenever a new slot game is added to their wonderful portfolio. High quality graphics, simple gameplay and many opportunities to win big are some of the elements that keep their slot games popular even after all these years. Xmas Cash combines the jolliness of Christmas with Bonuses, Multipliers and many other presents that will assure you you’ve really been a good kid this year. Santa can always tell! Find out more about Eyecon games here. Now you can hold on tight to the Christmas spirit all throughout the year with this slots game. It is every kid’s dream to receive gifts from Santa every day, not just once a year, and it is every adult’s dream to be rich. So why not combine the two and see what happens? Xmas Cash is the wonderful solution. Come decorate the trees, bake cookies and plug in the lights, it is time to be celebrate! Join hands with Santa Claus, the reindeers and even some snowmen and collect all the presents for yourself! This slot game has three reels and 9 paylines made of joy. The graphics and design are quite simple, but they express very well the essence of this holiday, focusing on the traditions and decorations. You can place your bets starting from £0.01, up to a maximum of £5.00. The number of paylines is also adjustable, so you can choose to activate between 1 and 9 of them, according to your preference. There’re a lot of cheery features to take advantage of, no matter the season. The symbols include some of the most loved elements of Christmas, such as Christmas stockings, reindeers, snowflakes and of course, Santa himself. The Xmas Cash logo symbol is the Wild Card and, as expected, it substitutes any other symbol besides the Scatter, in order to form more winning lines and maximize your prizes. The Christmas Bells symbol is one of the Scatters, and if you spin a match of 3 of them anywhere on the reels, you can open your presents and receive 8 Bonus Games. During Bonus Games, all wins are multiplied by 3x. They can also be retriggered a maximum of 15 times. The Christmas Tree is the other Scatter of Xmas Cash, and it has a particularly rewarding Bonus, called Prize Pick. It is triggered when you spin 3 of these symbols anywhere on the wheel, after which you are given 3 picks and each of them has the potential to award you with 111x your bet. That would make even the Grinch be jolly! This 3-reels slot game is perfect for any time of the year that you feel could use a bit more cheer in it. Hop onto Santa’s sleigh and take all the presents home for yourself! Xmas Cash offers a magical slots experience that will keep the Christmas spirit in your heart and make all the gifts fall in your hands. Listen carefully for Santa’s sleigh bells, he’s always close! An equally exciting game is Shaman's Dream.